As my fiancé left for work this morning, he told me he may have a McDonald’s breakfast en route. We do tend to have them on weekends as a treat after being good during the week (the flexibility of being a a Slimming World target member. I do follow the general rules of SW (fat free this, lean that etc) but when it comes to having treats, I input it all into myfitnesspal which talks to my fitbit flex activity tracker. This method allows me to have more treats if I’ve been very active. Eg, if I want a chocolate bar, I earn it by going for a run kind of thing. This morning I decided I wanted some pancakes (as opposed to my usual diary free porridge) but felt like experimenting without eggs. During my more recent hours of research, I am increasingly finding more vegan/raw recipes for cupcakes, muffins, deserts. I used to be vegan for two years in my Uni days almost a decade ago but there wasn’t the amount of recipes, resources and products there are today and it is encouraging. I won’t, however, be following this lifestyle on an evening because I don’t just have to please me at the dinner table – but during the day it is only me. 1. Place all of the dry ingredients in a mixing bowl and make a well in the centre. 2. Slowly pour the milk in the well and whisk, slowly incorporating the flour. 4. Fry a mini pan with frylight, heat up and pour a small amount (approx 3 tbsp) in the pan – too much and it will turn gummy. 5. Flip when it is solid enough and fry the other side. 6. Continue with the rest of the mixture until all used up. 7. 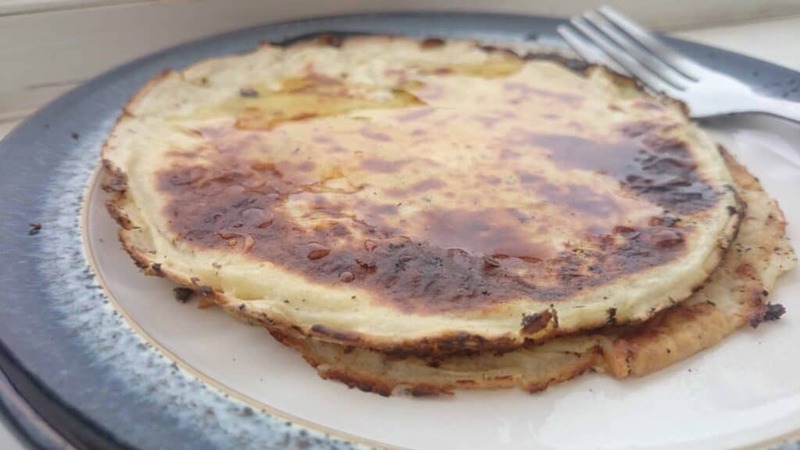 Stack and add whatever flavouring you wish – I used lemon juice and golden syrup. According to myfitnesspal, I used a total of 216 calories for breakfast. I hope you enjoy & I look forward to experimenting with different combinations. You can also find me on my YouTube Cookery Channel and on instagram.